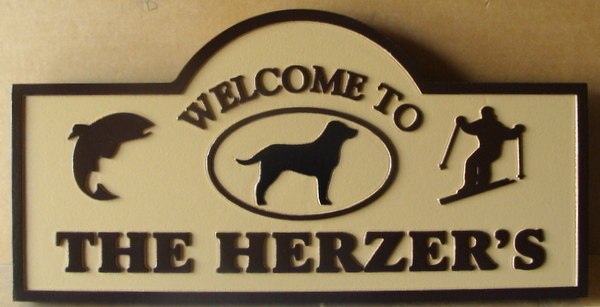 Shown above is a carved and sandblasted HDU address sign for a cabin welcome sign "The Herzer's". The sign above has been carved in 2.5-D with raised text, art and border with a sandblasted sandstone texture background. Simple silhouette art has been used. Two layers of clear-coat are applied to protect the sign against scratches and UV fading.